OpticStudio can be used to solve sequential and non-sequential optical design challenges—no matter how simple or complex—before physical prototypes are ever built. 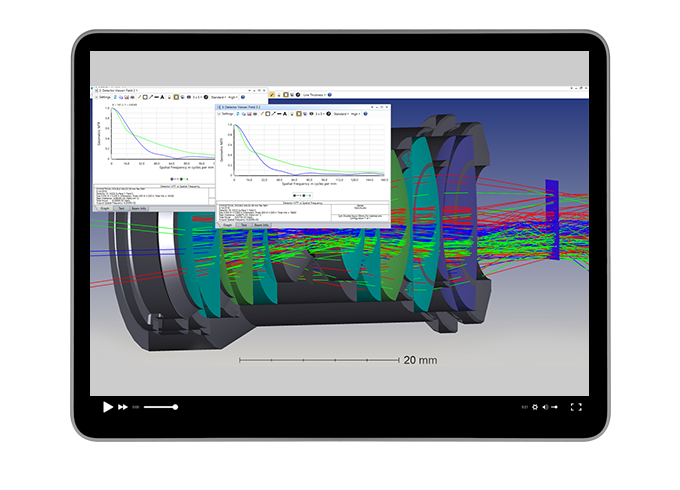 In this webinar, we will discuss how OpticStudio enables design and simulation of high-confidence optical systems. This includes optimizing for manufacturability, using the automatic non-sequential conversion tool, tracing rays with splitting and scattering, and simulating real sources. How is a nominal design different from a manufacturable design? When should as-built performance be considered? When is non-sequential ray tracing needed? Why are both sequential and non-sequential ray tracing needed for a high-confidence optical design? How is a high-confidence optical design turned into a virtual prototype?